Alondra Ramos-Herrera, student at Eastern Michigan University. She is a senior Majoring in International Business and Marketing. 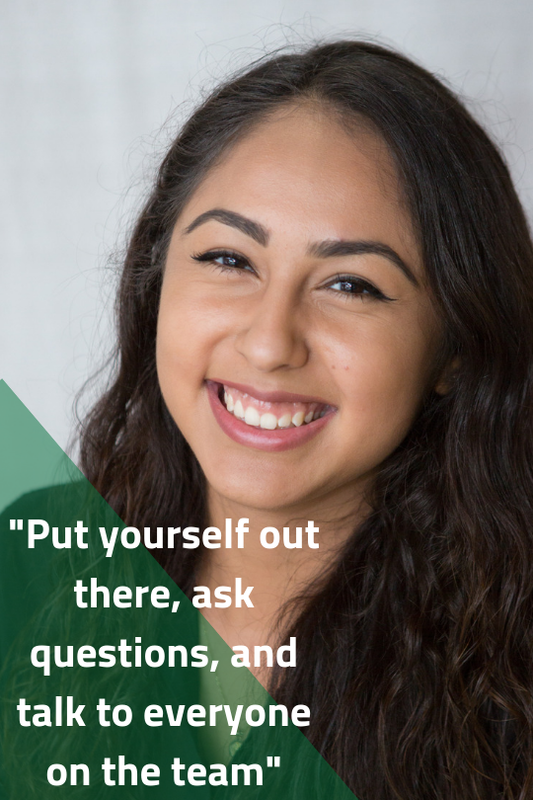 While in the Digital Summer Clinic with Center for Digital Engagement, Alondra was a digital media specialist intern with the tech start-up Mi Padrino. As a senior, we all need real-world experience in our field. Alondra wanted real-world experience in marketing. CDE partners interns with start-up tech companies in the Ann Arbor area which has plenty of opportunities to get experience in digital marketing. After learning about CDE, Alondra found the best way for her to get that first-hand experience she desired. Being partnered with Mi Padrino, Alondra gained experience in vendor selling. "I did a lot of cold calling and emailing different vendors from all over the country." Other tasks included being part of promotional videos and blog writing. Going above and beyond is important as an intern. Alondra did so by being available for extra hours. Being available when the CEO needs you for a start-up is vital. This helped Alondra continue with her internship past the expected date. Alondra accepted a position at Mi Padrino following the summer internship. She manages the company social media pages such as Instagram and Pinterest. Other tasks include helping with videos for social content. Content writing is a skill Alondra is developing. Learning how best to tell a story while keeping all audiences engaged is important for marketing. After graduation, Alondra hopes to continue working for Mi Padrino. "This company is growing so fast in such a small amount of time. It’s super exciting"